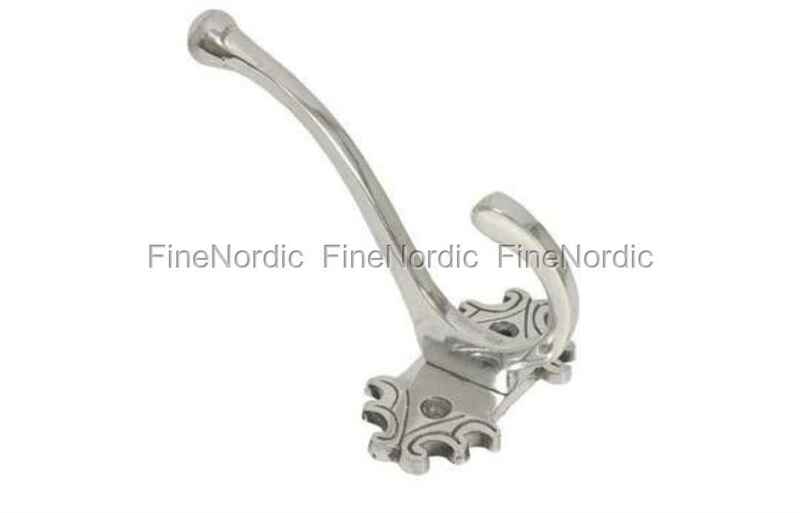 This Double Hook with Pattern is made of Polished Aluminum and it is a very elegant looking one. Attach it in the hallway for some coats and jackets, hang it up in the children’s room for bags and totes, or install it on the kitchen wall to hang up some dish towels. This double hook is not only goodlooking but also very practical, because you can hang up items on the upper as well as on the lower hook. Being goodlooking and practical, that’s just the way we like it!